"Ursula" because when I was younger, my favourite movie was The Little Mermaid. For some reason, some of my favourite characters were always the “villains” in Disney movies because I felt like they were always misunderstood and needed some love. I saw a side of them no one else saw! The colour of the wig really reminds me of Ursula because of the deep purple and that hint of grey! Ursula is the first thing I thought of when I saw the wig! Ursula is the name of our New Trendy wig offered by @caseyhodnett who can get the FREE WIG. Congratulations! Thank you all for your amazing support and help by naming our new arrivals. 3 LUCKY GIRLS ARE HERE. 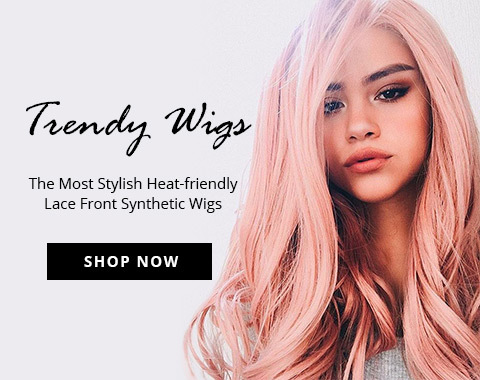 EACH OF YOU WILL GET ONE FREE WIG! Ursula! You can even see the modern face of ursula on the mannequin! She looks like exactly like her. Even the makeup look! #goosebumpsthat's why I think Ursula is the best name for this wig. The shades of the wig is the same color as Ursula has. It'll be amazing to have a wig name Ursula. Unique!